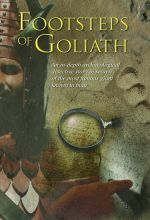 Approached from the perspective of professional scientists and archaeologists, Footsteps of Goliath includes the reenactment of the famous duel between David and Goliath. The story in the Bible contains an incredible amount of detail on Goliath which allowed the filmmakers to reconstruct the giant warrior. This reconstruction has received much praise for its accuracy and credibility from the scientists participating in this documentary. Fullscreen. One of the most popular stories in the Bible is the epic battle between David and Goliath, in which young David – armed only with a rock and a slingshot – dropped the giant Goliath in his tracks with a well-placed shot to the forehead. But how historically accurate is the tale? 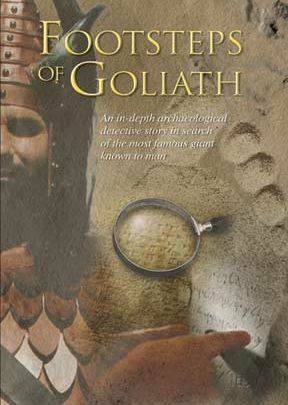 Biblical anthropologists present their findings in Footsteps of Goliath, a fascinating account of "Goliath," believed to be a man of exceptional height coming from a tribe known as the Rephaim, a people who took refuge among the Philistines and were involved in a number of construction projects in and around Jerusalem. The Rephaim are pictured in many hieroglyphics as being tall (at least six to seven feet) and often having six fingers on each hand. Goliath’s scriptural height of “six cubits and a spam” (approximately 10 ½ feet) is a bit of an exaggeration in the opinion of scholars interviewed here, but the account of the battle may otherwise be considered largely accurate. Sure to be a popular addition to general religious collections, this is recommended. Taking the Bible at its word, I've always believed in the stories within, even when they pertain to giants, like Goliath. 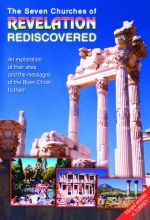 But as I tell those, on the occasions I get to teach Bible study, it never hurts to find real archeological evidence to back up the word. The Footsteps of Goliath, produced by Vision Video supplies some of that evidence. From finding the name Goliath on ancient ossuaries (bone boxes) to finding rather tall skeletons (most Israelites, for example were in the five foot range) the filmmakers follow the clues through Goliath's hometown of Gath, in search of the truth to the story of David slaying the giant with a slingshot. Participating scientists and archaeologists enter the question of if the Biblical story is really true, with a professional perspective. On the film, of about 50 minutes, the famous battle scene is enacted and their weapons of choice examined and explained. 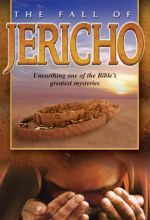 In the end, you'll find that the King James Bible may have been incorrectly translated, and the dead sea scrolls offer an amazing clue that sheds much light on the size of Goliath. Vision Video produces many Biblical documentaries, which any student of the Bible would find interesting. The story of David and Goliath is one of the most popular in the Bible. My children constantly ask to hear the story of the young shepherd boy going out to fight the giant on behalf of his nation. I often ask them if this story is real or merely pretend. They always answer dutifully, “It’s real!” But most children are not so sure. And most adults are even less sure. Footsteps of Goliath, a Eye2Eye Media production, is a documentary that attempts to piece together clues from history, archaeology and the Bible to determine whether Goliath could have been a genuine historical figure or if his stature, both physical and historical, has grown each time the story is told. The filmmakers pursue several avenues. They speak to a neurologist who provides his theory that Goliath suffered from the rare disorder acromegaly. It is a disease that causes the overproduction of growth hormones, causing people to grow to excessive heights and usually leading to premature death. Those who are not treated are said to be suffering from “gigantism.” The neurologist, Professor Berginer, suggests that Goliath suffered from this affliction. A side-effect of acromegaly is tunnel vision, which he believes would explain the ease with which David brought down the warrior. After all, Goliath probably could not have seen David if he moved quickly. This theory is interesting but not satisfying. After all, would the Philistines put the fate of their nations in the diseased hands of a man who had tunnel vision and could only fight when he could see a person face-on? And can this disease explain an extreme height of nine feet ten inches? In both cases the answer seems to be no. The second avenue pursued by the filmmakers is archaeology. They talk to some experts who are excavating historical sites in Israel and discover that while they have found skeletons that are abnormally tall for people of that time, they have never found any that even begin to approach nine feet. In short, there is no archaeological evidence of any people of Goliath’s stature. Finally, the production turns to ancient texts such as the Dead Sea Scrolls where we discover disagreement about Goliath’s height. While the Bible states that Goliath’s height was six cubits and a span, the other ancient texts disagree. The Septuagint, the Dead Sea Scrolls and Josephus all agree that Goliath was merely four cubits and a span, which lowers his height to a more manageable seven feet or so. This, the filmmakers agree, is his true height. While this does not make him a giant, a claim the Bible never makes of Goliath, it does make him a very tall individual in a day when the average height was significantly less than it is today. I am not an expert in Biblical texts so am unsure of what to do with this information. I do know that we can modify such information without compromising our beliefs in the inerrancy of Scripture, since it is possible that numbers could change due to errors in copying the text. I know also that there is legitimate reason to question Goliath’s height, and even my Reformation Study Bible includes a marginal note mentioning this disagreement. But in the end, whether Goliath was nine feet or seven feet, it does little to change the story. The purpose of this passage of Scripture is not to portray a battle between a boy and a giant, but a man of faith and a man who relied on his own power. David’s faith is what won the battle, whether his sling dropped a giant or just a particularly tall, strong and fierce champion. The program was intriguing at first but when the Hebrew text was cited as stating Goliath's height was two meters I had to go and study. First of all the meter was not established at the time of the account. Secondly the Hebrew text actually states that Goliath was six cubits and a span in height which is approximately 10 feet. Why did the producers of this program change this fact? It remains to be seen.